Want to play in Europe's largest playground as much as you like? That is possible with a subscription to Linnaeushof! 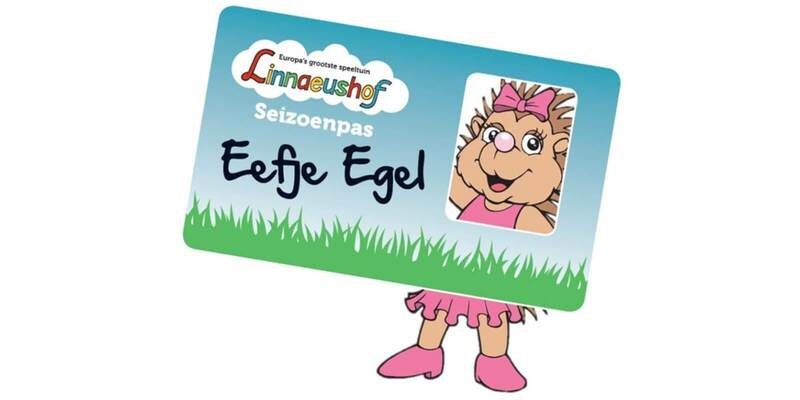 Linnaeushof offers a subscription in the form of season passes. This allows you to play at a decent price and for an unlimited time until the end of the current play-season. On this page, you will find an overview of the various subscriptions and the conditions. The subscriptions are only available at the cash register. This pass is person-specific. The name and photo of the pass holder are put on the pass. Valid until the end of the 2019 season. The photo is taken on site at the cash register. The pass holder must therefore be present. If this is not possible, a (passport) photo that is recent and a true likeness of the person must be included. The name of the child will be put on the pass and the child is allowed to bring one adult along per visit. For example, this can either be his/her mother, father, grandparent or a babysitter. Person specific for the child and non-person specific for the adult accompanying the child. A photo is made on site at the cash register. The child must therefore be present. If this is not possible, a (passport) photo that is recent and a true likeness of the child must be included. The parking subscription is license plate bound and can therefore be used by one car only. We charge a €5,00 administration fee to adjust the registration number on an existing subscription. Buy your tickets for season 2019 and benefit from online discount on our website. Don't miss a thing! Sign up for our newsletter (Dutch). Do not miss out on our newsletter!